The breakthrough film of American filmmaker Tobe Hooper (1943), “The Texas Chain Saw Massacre” (1974), was an independent and groundbreaking thriller, and it turned out to become one of the most successful and influential horror films ever made. No more Christopher Lee coming out of a coffin: new rules were applied in the storytelling. Although not everybody’s favorite genre or favorite film, it did become a landmark in Tobe Hooper’s career. In later years, he made a most successful TV movie “Salem’s Lot” (1979) and high-profile blockbusters such as “Poltergeist” 1982), written and produced by Steven Spielberg, “Lifeforce” (1985), “Invaders from Mars” (1986, remake of the 1953 film classic) and the sequel “The Texas Chain Saw Massacre 2” (1986). 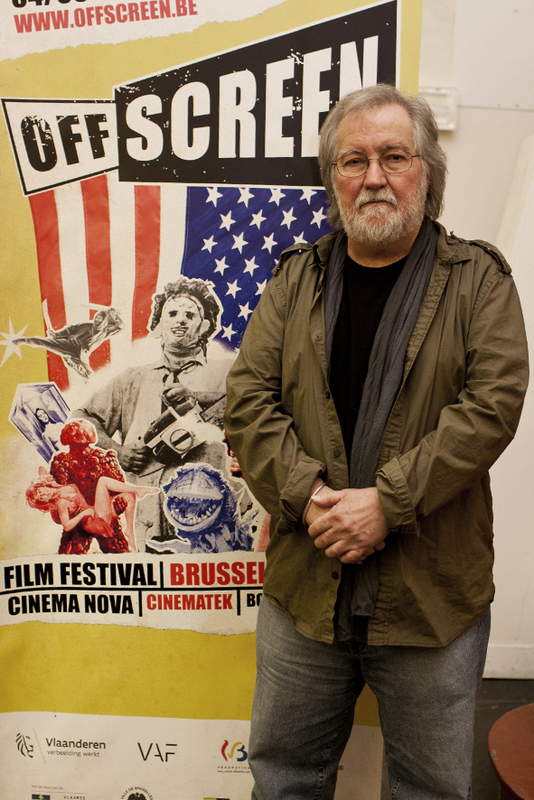 Mr. Hooper visited Belgium in March 2015, invited as the guest of honor by the Brussels Offscreen Film Festival, an event which tends to focus on independent filmmakers, classic cult films and lesser known film genres, and which is organized in collaboration with the Brussels Cinematek and Bozar (The Centre for Fine Arts, overlooking the city and yet buried underground). Mr. Hooper, doesn’t it bother you that most of the questions you have to answer are about “The Texas Chain Saw Massacre” , as if this is the only film you made in your entire career? There are not too many films in this ‘universal psyche’, everything just seems to come together, so I do talk about the film a lot. But how fortunate can a person be to have made one film that does hold on to time? So I thank God that I have one of those. 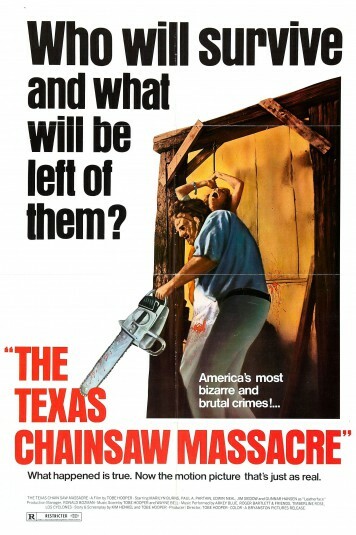 “The Texas Chain Saw Massacre” cost less than a $ 100,000 to make and grossed over $30,000,000 dollar in the US. “Easy Rider”  was the same kind of independent trendsetter. Budgeted at approximately $ 400,000, it grossed over $ 41,000,000 in the US. When did you realize that your film could become a success or a classic in its own genre? When I had finished the film and the 35mm blow up, the people at the lab started coming in and said, ‘This thing is awesome.’ I knew theoretically that it was working, but I was afraid to see the film with an audience, so I went to see the movie in a drive-in theater. It was full of cars. Halfway through the film, I would see tail lights of cars coming on. I thought, ‘They are all going to leave.’ And it kept happening, tail lights just kept going on. And then I noticed a reaction I was having: something was affecting my leg muscles, they were getting tight, my foot hit the break pedal, and I was pushing it too, so my tail lights were coming on too. That clarified things for me: making genre films, was about whether or not my leg muscles would tighten up. When Ridley Scott first saw the film, he came by with a hamburger, a Coca-Cola, and then the lights went down. At the end of the film, the lights came up, and he still had his hamburger and his Coca-Cola in front of him. That was a good sign. Frank Capra and Preston Sturges were known for their screwball comedies, Hitchcock for his thrillers, and you are a filmmaker of horror films. Was that a choice of your own, or was it just by chance? Well, it was my way to get from Austin, Texas, to Los Angeles where the big microphone is that reaches the rest of the world. Or at least, that was the place then. So I made it as a reaction, I came out of experimental films, the more European kind of filmmaking, with this mental and emotional process. “Eggshells” , the first film I made, got no attention for me, it didn’t do anything to advance my career in film. I knew that I could do a little budget film and get enough money together again to do one more film, and I thought I would just have a better shot at making it a horror film because that then would be commercial. And that could make it possible for me to get another job. That’s the reason why I made the film, so I could be noticed in Los Angeles, and hopefully that would be my ticket to Los Angeles and to the film business. I didn’t want to lose integrity by doing that, but it is a business and if they are going to distribute it in a lot of theaters, they have to spend money doing it. The studios need to have some expectation of making money, and I didn’t want to continue to make documentaries, so I brought all of my experimental feelings into the language of making it. But I was also able to get into strange behavior of characters and experiment with things that I really loved about cinema: the characters, the way they behave, the way they make you feel, there is the sound of truth and how you get that sound of truth. And so I was continuing to experiment and found what it would take to make a good genre film, one that I could be proud of as a piece of cinema. So that was my approach. A lot of the films you directed, you also produced, or edited, you wrote scores and screenplays. Was that an advantage for you? Yes, it was. For one thing, I had to learn to do all of those things because I had to be a one man show at times, especially when I would get a commission to do a documentary or a TV commercial. It helped me, because I didn’t need an editor, a cinematographer or a composer, I could do it myself, even down to make-up. I had been doing these things since I was able to get hold of my parents’ 8mm camera, by the time I was seven or eight years old. After I got home from school, I would start working on a little film. A lot of it was self-taught. Later I went to the library, reading American Cinematography and Sight and Sound. There were only a few publications back then about cinema, about how cinema was made. So yes, it was an advantage that I knew how to do it myself. To what extent did it help you when you started making big-budget Hollywood studio films in the early 1980s? I’ve always been involved intensely in post-production. In the old black and white days of cinema, there were a lot of film directors that would shoot a movie and then turn it into post-production. Sometimes the director wouldn’t even visit post-production that much, they would be off shooting, directing the next film and providing footage for the studio. When things were happening for me, it was a time that the European director had taken off as the auteur, and he had a great deal of control. There was a lot of attention: the spotlight was on the director. Even more so than in let’s say the Frank Capra days, there was a possessory in the credit that the directors had. When I started, it was ‘a film by’ with the director’s name above the title and so I was lucky to hit that time, although I always wanted to work in the time before I was born. You admire the old studio films that much? Oh yes, I still do. In the States there is a channel that shows those films all day long: Turner Classic Movies. I love it. We also have Time Warner cable: they have numerous channels, a lot of video on demand, films that you pay for to see, etc. Did the old filmmakers influence you or encourage you to do what you do now? Absolutely. I was an infant when I started watching movies. My Dad was a cinema fanatic, he took me every day to the movies, I didn’t want to play football or go to the golf school, I went straight to the cinema. Unless I was sick, I don’t think there was a day I missed going to the cinema for the first 25 years of my life, so to speak. Sometimes I would see two or three films a day, and at the drive-in I saw B and C films, those throwaways, because there is a lot to be learned from these films: you can learn what not to do. So that was just my way of life, I couldn’t make it through the day without seeing a movie. Even now, I see several films a day. 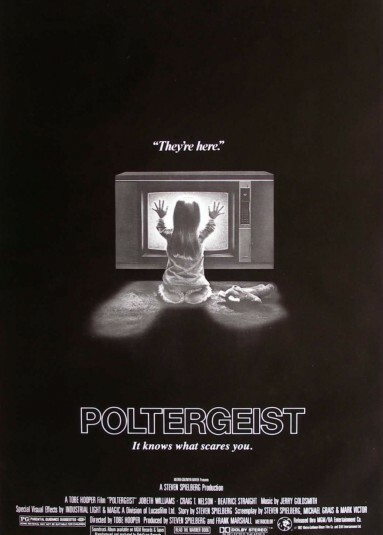 How did you get involved in “Poltergeist”  which turned out to be your biggest box-office success? I had known Steven Spielberg [who produced “Poltergeist”] from the time I came to Los Angeles. We were talking one day, and I told him I wanted to do a ghost story. He liked the idea and when I mentioned “The Haunting” , a film classic by Robert Wise, it turned out it was also a favorite of his when he was growing up. So that was really the beginning of it. How much of “Poltergeist” is yours? Because there have been a lot of rumors that Spielberg directed quite a lot as well? That all started with an article in The Los Angeles Times. The first two weeks of filming were exterior shooting, and I needed shots in front of the house of the family. I was in the back of the house shooting Oliver Robins [who played the young boy of the family] and the tree, looking down at the burial of the little tweety bird, and so Steven was doing the shot of the little race cars. The Los Angeles Times arrived on the set and printed something like, “We don’t really know who’s directing the picture.” From there it became its own legend. That is how I remember it; I was making the movie and later on, I heard this stuff after it was finished. I really can’t set the record much straighter than that. Posted in Film director, Film Talk and tagged Alfred Hitchcock, American Cinematography, Christopher Lee, Easy Rider, Eggshells, Frank Capra, Invaders from Mars, Lifeforce, Oliver Robbins, Poltergeist, Preston Sturges, Robert Wise, Salem's Lot, Sight and Sound, Steven Spielberg, The Haunting, The Texas Chain Saw Massacre, Tobe Hooper, Turner Classic Movies. Bookmark the permalink.